RainSaucer - RainJug sales now LIVE! A lot products say they achieve several environmental goals at the same time. But our new RainJug product is real deal. 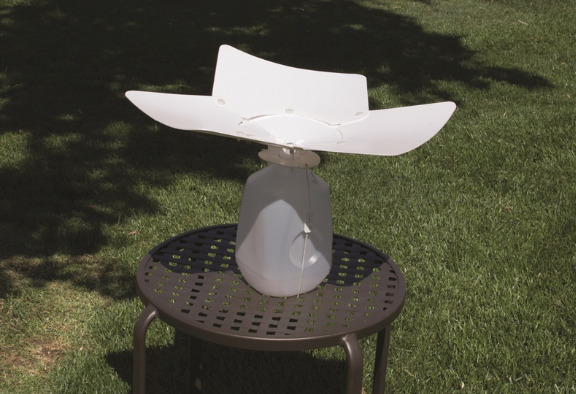 Not only does it catch rain (which conserves water) but it upcycles milk jugs which usually wind up in landfills. Better yet, the product is an educational tool because it educates children in a fun, DIY way that gets them interested in growing their own food- another environmental plus. The RainJug did not make it on KickStarter but we decided to launch it anyway based on our overall enthusiasm for the product. You can buy it now on our site for $24.95 with Free Shipping. A second unit can be had for just $15 more.